[description] => Pulimurgan is one of the top grosser in the Malayalam film industry and has earned more than INR 100 crores for the makers. After raking in more than INR 100 crores at the box office worldwide, Mohanlal starrer Pulimurugan is now all set to achieve another distinct feat which no other cinema in Indian cinema has done so far. Pulimurugan was launched in a 6D version in Kochi on Monday making it the first ever Indian film to be made in such format of technology. The first preview show of the 6D version of Pulimurugan was held in Kochi on Monday. Anubha Sinha, the head of the team who made this possible, spoke to a leading daily about this and said, "It is an amazing experience to be in a hall where you could actually feel the storm and the leaves flying when Mohanlal kills the tiger. It's like living that moment and not watching it. These ten minutes of Pulimurugan will change the whole perspective of Malayalam cinema." Anubha further added that 6D theatres will soon become one of the most innovative platforms and will change the game in the world of cinema, with Malayalam industry beginning it. She also added that the reason why no films were made earlier in the 6D format earlier because of the cost involved in it which is quite high. Pulimurgan is one of the top grossers in the Malayalam film industry and has earned more than INR 100 crores for the makers. 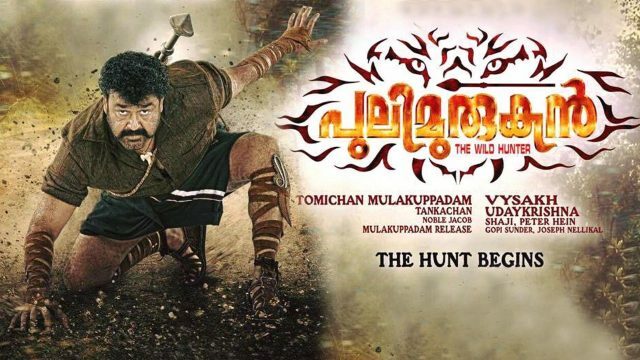 Said to be one of the top films in Malayalam cinema, Pulimurugan has stunts designed by Peter Hein who went on to win a National Award for the film as well. Pulimurgan is one of the top grosser in the Malayalam film industry and has earned more than INR 100 crores for the makers.